The Parable of the Prodigal Son (Luke 15:11) is a story told by Jesus to two audiences. One audience is composed of “publicans and sinners”. Perhaps redemption matters most to this audience. The second audience is composed of the “Pharisees and scribes.” They were looking for an angle to find fault with Jesus because of his ministry to the publicans and sinners. It is this second group that perhaps needed to know more about not the younger brother but the elder. As the younger son “comes to himself” (Luke 15:17) he realizes how wasteful (“prodigal”) he has been and returns to his father’s house. 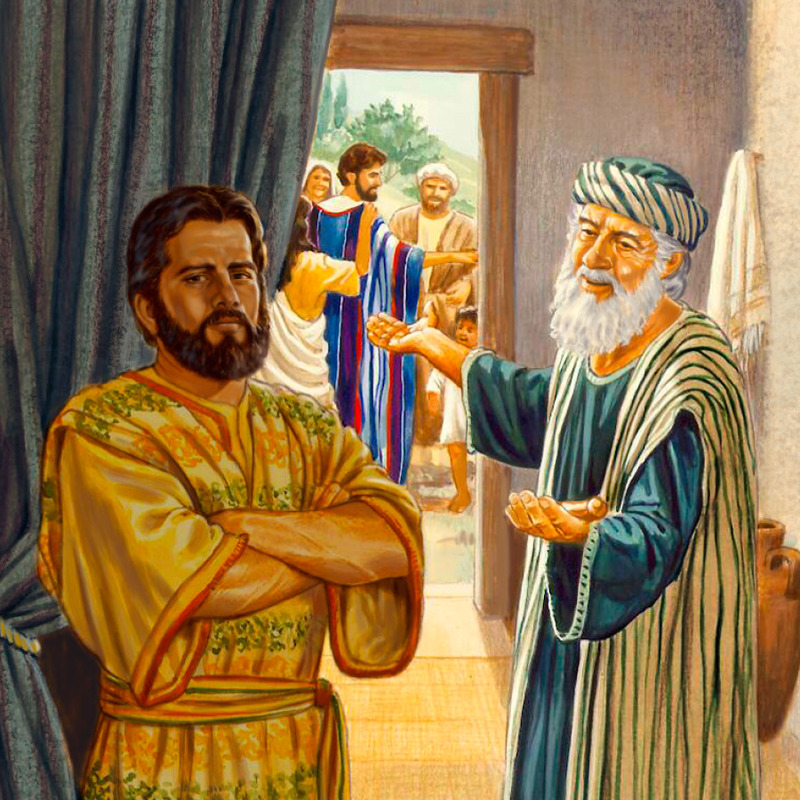 The father welcomes him with open arms, places him again in his family as his son and throws a party for him. We don’t hear the end of this story but I believe the elder son did indeed go in, and was moved to weep for his younger brother, give him a big hug and later marvel at his father’s tremendous power to forgive. The Prodigal Son often occupies our imagination as the hero of the story. He makes a foolish decision at first, later repents and ultimately is saved. We can relate. But the elder son often appears as ungrateful, bitter and “stuck” in the past – unable to forgive his brother. His “bucket” has a fair amount of of betrayal in it from his younger brother. Whenever life’s difficulties trigger what is in our “bucket” out comes often not forgiveness but anger, frustration, disappointment, incomprehension. Our “bucket” is that place in us where our traumas, hurts, pains and disappointments may reside. What is in there can get in the way of forgiveness. But the overwhelming grace of God that “comes out of the house” to meet us where we are can help us see the bucket and what is in it. Help us to empty it, to deal with it. This is true freedom. So don’t disparage the elder brother. We are both the younger and the elder at different times in our lives. The father did not criticize nor condemn his older son. Rather he begged him to “come into the house” to be with his brother who was lost and now was found.